My Dad’s Mom was one of 5 children born to David Allen Elliott and Ellen Sullivan. I’ll tell you as much as I know about Maude and then add some information about her siblings and her mother and father. Although her first name is Mary, she ended up being called Maude probably because there were way too many Marys running around. She was born May 23, 1884 in Victoria Canada from what I can gather. I know very little about her and need to do some more research with Mary Ellen McNulty before too long. 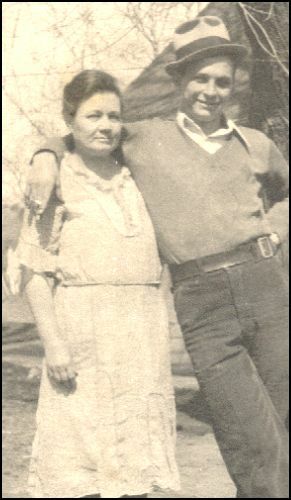 She lived next door to Gramma Larsen on Seward Street for many years. Dad didn’t talk about her much and Clare, his older sister, and Earnie and even Rosemary the youngest child are all gone now and there’s no one to ask! I wish I had been more interested in the years when I had them all! Too soon old and too late smart! That’s a famous saying. My father would use it a lot. Anyway, Mary Maude Elliot was one of five daughters born to David Allen Elliott and Ellen Catherine Sullivan. 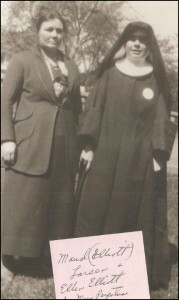 Two of the sisters, Ellen and Agnes became nuns and were know as Sister Mary Perpetua and Sister Mary Monica. I knew Sister Perpetua in High school. She was a math teacher at Holy Name. I’m convinced that my relationship with her is the only reason I graduated from holy name. It was a miracle! Other than Maude’s wedding picture the oldest picture I have of her is the one below left with her sister, Ellen, who became Sister Perpetua. I didn’t get to know Sister Monica although she was at several of the family gatherings back in the 50’s and 60’s, but I don’t remember a thing about her. Maude had two other sisters. 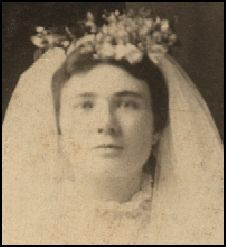 Rose Elliott married a Donovan and had seven kids. There were Bill, Mike and Jim. There were four daughters. Mary Ellen, Theresa, Rita and Deborah (with the accent on the second syllable). 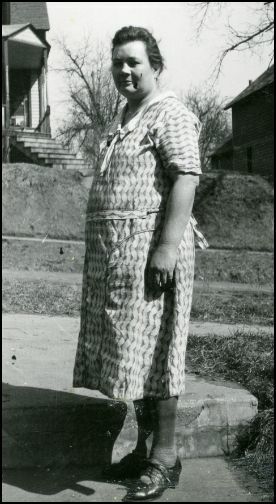 Gertrude, or Gerty, married a McGowan and had six kids, three boys: Richard, Jim, Calvin, Ruth, Margaret and Mary Ellen McGowan. Most of these kids have all passed away. The two Mary Ellens are still alive. One is Mary Ellen McNulty and the other is Mary Ellen Hier(SP?). 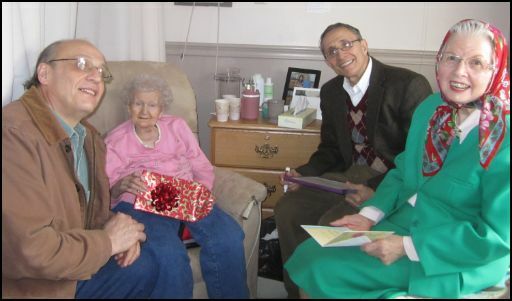 Mary Ellen Hier had her 93rd birthday on March 27, 2011. My Brother Dave, my wife Kathy, and Kathy’s mom Jean went to visit Mary Ellen Hier in the Good Samaritan Nursing home on 128th and Q in south Omaha. She can’t hear a thing, but she can read well. So we write our statements and questions on a white board and she answers them verbally. Mary Ellen McNulty was with us for that visit as well. Mary Ellen Hier is in the pink and Mary Ellen McNulty is in the green jacket. She is 84 years old and is very smart and alert, but does seem to be a little forgetful at times. I’ve gotten to know her and really have grown to love her. Another thing about the heritage on Grandma Maude’s side concerns her mother. Ellen Catherine Sullivan married David Adam (or Allen – there’s confusion) Elliott in Canada. Her Sullivan heritage goes back to Scotland where her ancestors were born. She came to the Americas with a brother. The rumor has it that her brother was John L. Sullivan, the first recorded heavyweight boxing champion of the world. I tried to trace this, but it got terribly confusing when I got beyond 1900, I don’t suppose we’ll ever know for sure. I’ll try to add to this post when I learn more about Maude Elliott Larsen.